Fundraiser by Sevi Landolt : KLAUS JOHANN GROBBED – equipment burglary help! KLAUS JOHANN GROBBED – equipment burglary help! It’s almost two weeks since all our equipment got robbed in Amsterdam. We were 4 days in on our Europe Tour and the morning after we played the Cinetol we found our van empty. The thieves took literally everything, including all our merch. 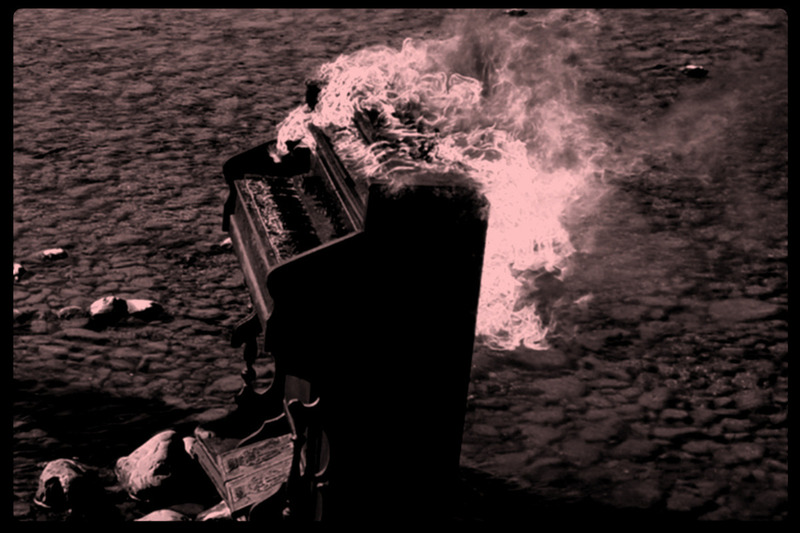 The only thing they left were the legs of our combo organ. First of all we want to thank you all for the huge support from all over the world. Our original post on facebook (goo.gl/EqWQ2n) got shared over a 1000 times and we got offered so much equipment for the rest of the tour... so much love...it was really overwhelming! We’re glad we could finish the tour and didn’t have to cancel a single show. All thanks to you wonderful humans out there and the help from friends. Now, many of you have been asking if they can help out with some money and that we should set up a place to donate. We thought about this campaign for quite a while and if we should ask you people to help pay for random equipment. After all we’re alive, healthy, can’t really complain and will recover from this somehow even if it means to reduce our setup to Bontempi organs only. We’re still not sure about all of this and it certainly doesn’t feel good but if you have some money you don’t know what to do with, please donate a little bit. The whole loss is somewhere between 20’000 and 25’000$. We’re currently 15’000$ short but will step in with our own band money as well. It’s hard to tell how much we’ll actually need in the end as we will try and buy the stuff we need as cheap as possible. Should any of the money you donated be left over we will donate it to Sea Watch ( www.sea-watch.org). Thank you all for reading and sharing and you’re constant support! We’ll be back in January 2019 no matter what happens! Es ist nie zu spät! :) Have fun in the US/CA! Na so ein Mist. Liebe Grüße aus München und Danke für ein tolles Konzert ebenda.